Increased awareness and appreciation of New Zealand falcon. Increased understanding of the relationships between living things, and the relationships between living things and their physical environment. Developing an awareness of New Zealand’s special plants and animals, including an appreciation of what makes our environment unique. 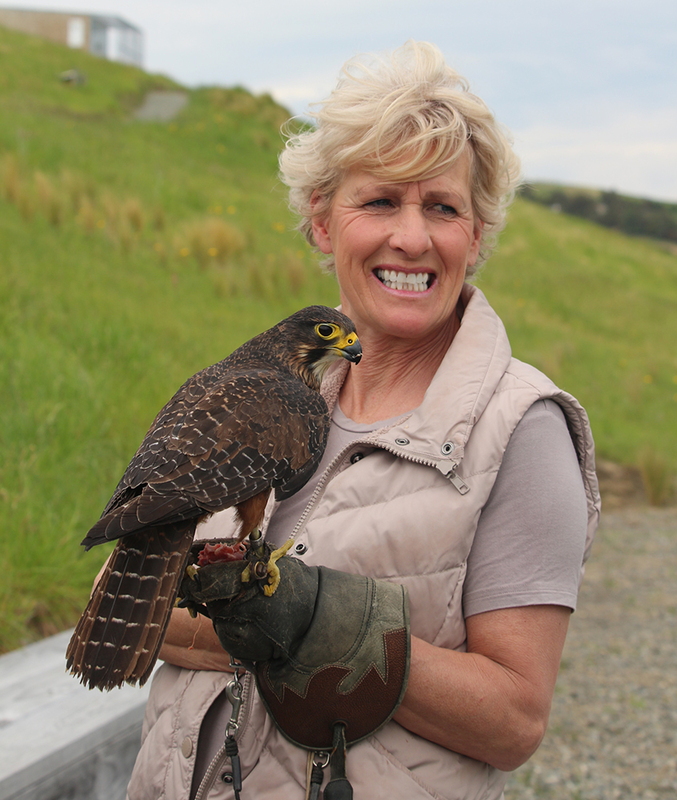 Increased knowledge and skills to take action to protect all of New Zealand’s native animals including the New Zealand falcon. A pre visit activity package provides the teachers with a learning programme for the students. The activity package is followed up with a visit by DOC staff accompanied by a falcon handler and one of the advocacy falcons. The visit is then followed up with more activities relating to the facts that they have learned, and students are encouraged to send in letters and pictures to the MFT and local government leaders to help spread the word about falcons. Some schools have even taken things a step further and have championed fund-raising efforts for specific falcons or to assist with the release of captive bred chicks. Since establishing the education programme, we have visited schools from Picton to Kaikoura, and have met many primary school pupils, all of whom have been thrilled with the chance to see such a rare and beautiful bird in person. The reaction from students and teachers has been outstanding. For the majority of students however, getting up close to a falcon was a once in a lifetime opportunity. Even more exciting to many of the students, the falcons often manage to wait until they are inside of the classroom before expelling a ‘mute’ (falcon poo!). This easily-cleaned mess is considered to be extra good luck! The Marlborough Falcon Trust is extremely proud of this educational model and the response from the students. They will move forward in life with a true appreciation of how special the New Zealand falcon is and how best to help increase their numbers. One of the highlights to emerge from the educational programme has been the intense interest shown by students of all ages. Not only have they been keen to complete the learning sectors, but they have also been keen to offer suggestions on how we can all help protect the endangered falcon.